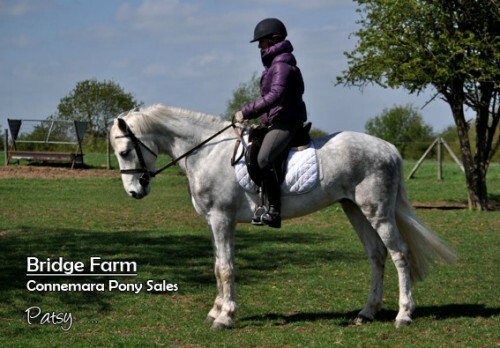 At 4 years old this Connemara gelding has been lightly backed, hacked out in traffic and is ready to school on. 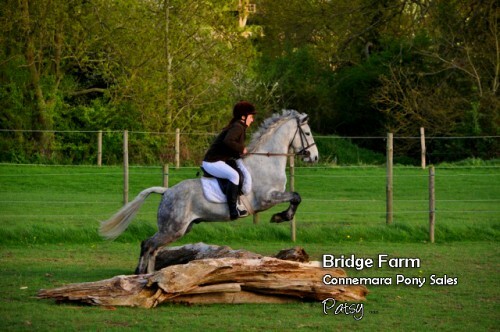 Patsy, also known as Ardcull Liam, is named after his breeder and he is a genuinely nice looking middle weight Connemara gelding, who hasn’t a nasty bone in his body. Lightly backed in Ireland and hacked out, he has seen traffic and was fine. 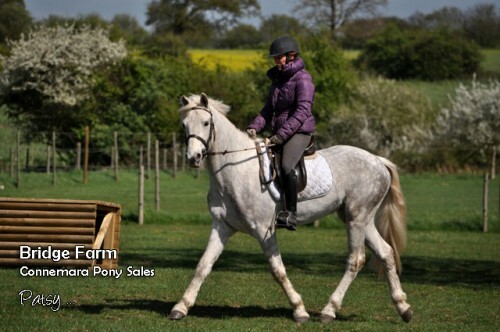 He has also been out on a 5 mile pleasure ride and was well behaved. 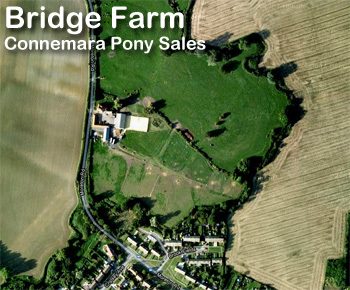 We are now beginning his schooling, and he is sure to make a lovely Connemara pony for the future. 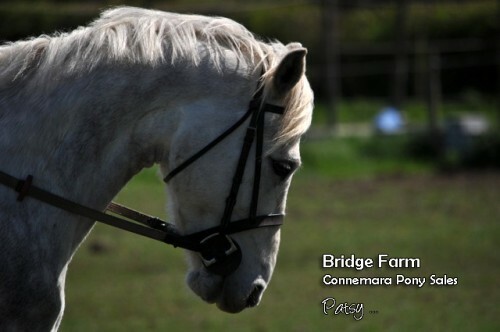 If you wish to know more about Patsy please call Bridge farm on 07980 668380 and ask for Belinda.